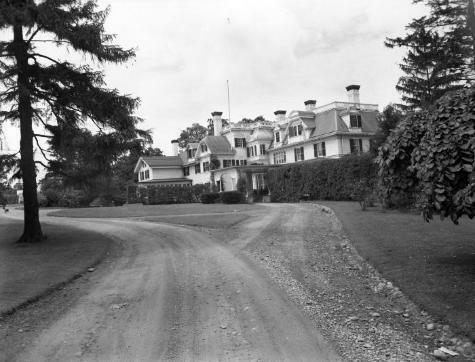 The William Wadsworth Estate, also known as "The Homestead", Geneseo, NY. The house was originally built in 1804, and was moved in 1874. It was added to the National Register of Historic Places in 1974. Source: New York State Archives, New York (State). Education Dept. Division of Archives and History. Photographs of historic sites and structures, 1936-1963. Series A0245-77, Livingston County.